This entry was posted in Fedora, Linux and tagged DVD, Fedora, Media, Multiboot, Spin, Spins by Christoph. Bookmark the permalink. Also bei der aktuellen Ausgabe war keine DVD bei oder gibts die nur bei der DeLUG Variante? Ja klar, das ist ja immer so. The logo usage there is not correct. However, it’s not unique among magazine treatments of distro logos as they typically bend and turn upside down the usage guidelines of said logos no matter how well they are documented…. sigh. - There should not be a number between the Fedora logomark and the Fedora wordmark. The worst damage is the lack of appropriate spacing between elements which should have been caught by general principle rather than anything specific to our usage guidelines to be honest. How come I am not surprised about your comment? I didn’t do the artwork. In fact I had no idea it would be branded. The German DVD is just black, no Fedora logo or anything. You violated the clearspace for the logo; there needs to be more space between the wordmark and “Design Suite”. You used the logo on the back on a similarly colored background although you must not do this. “fedoraproject.org” with the logo in the left looks like a rearranged version of the logo. You used Comfortaa Regular for the text while you should have used MgOpen Modata as complementary font. Using MgOpen Modata for the workmark but Comfortaa for “Design Suite” so close to it is confusing and should have been caught by general principle rather than anything specific to our usage guidelines to be honest. The SXSW media sleeve doesn’t actually have the issues you seem to think it does, not that the SXSW media sleeve has absolutely anything to do with this. No there doesn’t, because it’s a sublogo. Sublogos are allowed (see fedoracommunity.org for another example) given that they use the logo palette and the official secondary font, Comfortaa. The photo behind the logo is actually a duotone using the CMYK equivalent of Pantone 2935, AND the logotype is white. It is not. The type is set in Comfortaa which is the official headline font and the clearspace of the logo has been maintained. Actually, Comfortaa is. The guidelines haven’t been updated yet for some reason, or maybe they were reverted for some reason. I’ll fix that. The wordmark does not use modata. not sure where you’re getting that. The wordmark uses Bryant2, again, not needed because the logomark is provided in vector format. Máirín, thanks for your explanations. Sorry, but IHMO there is no such thing as a “sublogo” because it is not covered by the logo usage guidelines. The clearspace is defined in the guidelines and as long as they don’t explicitly grant an exception, the fedoracommunity.org example still is wrong, even if nobody has a problem with it. Same goes for the new font. The wiki is the canonical location and as long as it’s not updated, the change is not yet officially approved. And even if you changed the wiki page in the meantime this doesn’t change the situation back in March. BTW: The FWN you linked just mentions they are tested, not that anything was actually approved. Finally there is the problem with the similar-colored background. I admit that I am not a design expert and my color management may be broken, but the background is far from Pantone 2935 or #005BBF. Maybe you put a layer of it over the background, but with the brighter and darker spots it is no longer #005BBF. Anyway, I don’t want to argue about the design with you. As I said: I am not responsible for the design, I just did the ISO. I thought the English media would be black as the German ones I knew and I didn’t get to see them until one day ago. It seems there is yet another design for NA, and AFAICS many of the issues you pointed out don’t apply to it. If there are still problems with it I’ll be happy to put you into contact with the person from Linux New Media who did the design. I was thinking of doing a Fedora respin but after seeing what you guys have to deal with (namely nitpicking by the likes of Máirín Duffy) I think I have changed my mind. Another option for prospect Fedora Respin makers is to flood Máirín Duffy´s mailbox with questions, or tell her to do the rebranding herself with the required level of nitpicking detail. The critique being presented here isn’t particularly scathing…its discussion of deficiencies of a particular implementation when compared to a documented standard. Nothing more, nothing less. This happens all the time in other more technical contexts of the work going on inside this software ecosystem. If I were trying to build a technical implementation of a documented communication protocol standard or say I was building an html5 compliant browser, I would most certainly expect others who “care” about the standard and the specification to tell me where my implementation was deficient. In fact I would desire such feedback if it also came with offers to correct the deficiencies. Unfortunately, for all of us, the magazine authors didn’t close the loop with regard to the design process and allow time for an discussion which could have resulted in her helping to correct deficiencies before publication. And by the nature of the publication constraints we can’t go back and fix it in the spirit of release early and release often like we can with software deficiencies. The key question here isn’t whether or not the critque is unwarrented. The key issue is how can we close the loop with publishers like this one and get them using an open design process where deficiencies can be discovered in a timely fashion ahead of publication? Unless the designers the Magizine used are willing to have a conversation I don’t know if we can make constructive headway on that. While Christoph is certainly personally invested in the deliverable, he admits he’s not the designer who Máirín could have interface with ahead of publication if given the opportunity as part of ensure the magazine’s layout was as deficiency free as possible. if Christoph could make that conversation happen even now, in anticipation of future media publication, that could be a very constructive outcome. Especially if as part of the conversation the Magazine publishers can commit to an open design process of some shape or form. If an objective critique of guideline usage in response to a blog post requesting feedback discourages you that much, I don’t think you would have gotten very far anyway. Good Deal! Offers a great way to get Fedora in base locations, and help penetrate locations it isn’t as prominent! Who can ask for more? While in this particular case, there doesn’t appear to be much to object to, it sets the wrong precedent and that is highly problematic. If anyone can create any custom variant of Fedora that goes outside the scope of what is granted by the trademark guidelines and continue to call it Fedora, it would be hard to argue that it is wrong when someone else creates another variant which Fedora Project finds unacceptable. This wasn’t done by someone ‘outside’ the Fedora Project, but by one of the members of the Project. 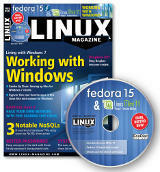 Fedora gets to ship couple thousand CDs to the hands of Linux enthusiasts. 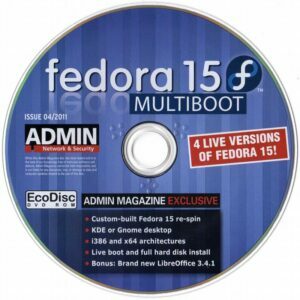 The multiboot spin is a great idea and should be considered one of Fedora’s official options for DVDs. it was not done by “anybody” but by somebody who has signed the FCA and who happens to be both the spins wrangler and the EMEA media wrangler. If free software is meritocracy then I think I am definitely in a position to make a decision here by just doing it. It’s also not “any custom variant” but based only of Fedora packages. In fact it is closer to the default comps selection than the the GNOME and KDE spins are. It is not outside the scope but follows the spins guidelines. I even honored parts of the guidelines our release engineering ignores. Who is to decide what “Fedora” is? The spins SIG is to approve a spin, but the desktop spin was never approved and the SIG never had anything to do with the package selection. How would we do that? Would we need to re-approve a kickstart file after every commit? Would we need to approve every version of a package that gets build? In the past we had many situations like this one, too: 3 Board members produced a spin for SXSW that violated all kinds of guidelines, not only the trademark guidelines. Did anyone of them get trouble? No, because they all happen to work for Red Hat. There were various spins distributed on Red Hat Summits by Red Hat people. No problems either. Last but not least there is the trademark: Only the trademark owner is to grant the trademark, but the trademark owner is not in the position to approve spins or packages. In the end that means this means we have nobody to decide what Fedora really is. If we followed that logic there wouldn’t be any “Fedora” at all. As you can see in the trademark guidelines, The Fedora Board decides what Fedora is. Desktop variant was created *before* there was any “Spins” and I don’t see how you can point that out as a flaw in the Spins process. I didn’t say you were “anybody” but it does set the wrong precedent and bypassing the process set by the Fedora is disturbing IMO and I am sure you can understand why that is the case. In any case, as already noted, this isn’t a criticism of the multi-boot dvd which is a nice effort. Sure we agree that these DVDs are a nice effort and we also agree that there are problems with the workflow. However we seem to disagree where the problem is. The trademark owner empowers the board to grant something or somebody the trademark. But the board only approves, it does not decide what Fedora actually is. Same goes for the spins SIG. Decisions are made by the made by the maintainers and I think this is a good thing: Fedora is to be a platform for people to let their ideas come true. We only give policies and guidance how to make use of this platform. As long as is within the principles of Fedora, the contributors define what Fedora is – not the board and not the trademark owner. This is what I did – please correct me if I am wrong. Then we have the GNOME desktop live-CD as a special case. It is not special in the sense that it’s not the maintainers who decide and it’s also not special because it was created before the spins process. Both the KDE and Xfce spins were, too. But all other spins get re-approved with every release – only the desktop spin does not. So if you raise the question if the spin shipped with the magazine still is Fedora, we would have to approve each and every change to the package selection or all commits that change the defaults in comps. And we would have to raise this question first and foremost for the desktop media that lacks any form of approval. That level of exposure for Fedora is fantastic, and saying yes to the opportunity to get that amount of Fedora media produced and shipped was the right thing to do. Would it have been great for all of the logo guidelines to be followed as well? Yes, of course. But it doesn’t look like that was an option in the timeframe that existed. I think that Christoph took the initiative here to make something good happen for Fedora, and that is exactly the sort of thing that we want to see our long-time contributors and Ambassadors doing. I would have preferred the latter option. So you would have responded to all the people on the list? Good to know, next time I will just refer confused people to you! Didn’t say that. Please calm down. You obviously knew it was a controversial decision since you decided to mention the ‘dare’ of it. Don’t post things like that if you don’t want affirmation that it was the wrong thing to do. Don’t worry Máirín, I am relaxed. Yes, I used the word “dare” because it is a controversial decision. But I still think that my decision was right and if you don’t believe it, I invite you to join the Fedora ambassadors on an event. You will see that “What is this desktop CD” is one of the Top #3 FAQ. 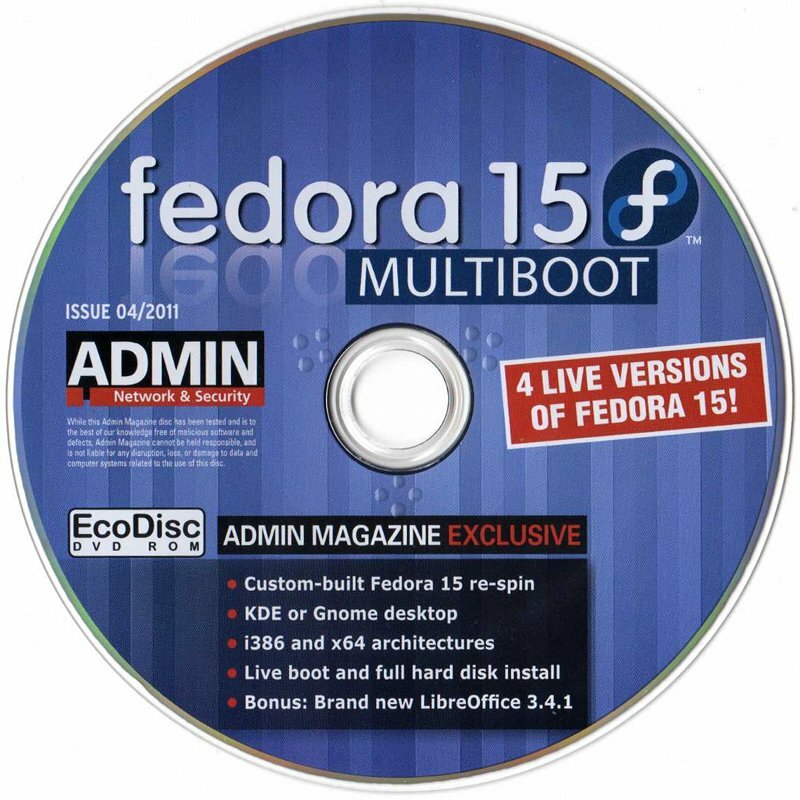 I have joined and served as the coordinator for multiple Fedora events in an ambassador capacity. Things must be different in Europe. Maybe. But how do people in the NA know that the desktop media is actually GNOME? The sleeve doesn’t mention it, nor does the boot menu. I believe that you took a chance that comes probably once in life (we expect that more things like this happen) and you did a good call on grab it and use it. Fedora is in a constant race with others to get attention and I’m sure this is one of those things that will make us shine. Now, I must remind you that there is an entire team of people that can help you, guide you and give some advices about tons of stuffs (including artwork) so things like this doesn’t happen. I guess that the real scolding is not “you did it wrong”, for me is that “you should have ask advice to those that can give you a proper advice without need a board decision”, that’s why we are a team. I must say that, controversy or not, when something like this happens people raise their heads and work extra to keep things working. Tatica and me chatted a little in private and it turned out that there seems to be a big misunderstanding: I did not do the design, I ‘just’ composed the ISO. I am aware of the logo usage guidelines and I surely would have followed them to the best of my knowledge. The problem is that we don’t communicate our guidelines to the world that clearly. Meanwhile I learned that a media company is supposed to sign a ‘covermount agreement’ with the trademark owner, but the trac ticket about this is stalled. A guideline that is never ratified or published cannot be enforced. Even Red Hat folks on Fedora legal list were not aware of the problem and said everything would be fine. Long story short: We have to many guidelines and much red tape in Fedora nowadays that keep us from doing what we like to do in first place: Spread Fedora! If you Google for ‘fedora logo’ there’s a link to the usage guidelines in the very first hit. Besides the secondary font not being documented (thanks for raising this as it is fixed now) I fail to see how the guidelines cause unnecessary red tape. Designers need this knowledge to be able to use the logo appropriately; as a graphic designer I have seen far more lengthy and complicated corporate and non-corporate logo usage guidelines that are more difficult to use in comparison. As everyone is echoing, you likely made the right call here, but also understand that if you want to spread something–say photos of someone–you’d probably rather not spread the photos at all if they paint the person in an unflattering or unfair light. You want to spread Fedora in a matter than showcases it at its best, making use of the hard work multiple teams do to make sure we do put our best foot forward. I’m not seeing Máirín’s comments, but I am seeing your responses to her. This makes it difficult to understand your conversation with her in the correct context. Is there a particular reason why her posts are not appearing yet? So on balance I think this is a good thing. Looking at it from a reward to risk ratio the implementation of the media distribution opportunity is definitely high. To give you a metric of comparison. This implementation, ranks much higher than say the branding opportunity created by the now infamous Jar-Jar tongue lolipop StarWars tie-in, but not as high as the dark chocolate M&M’s Star Wars tie-in. The question I have is, how do we make it more likely for people to build on this successful venture while at the same time making it less likely to have a branding failure that causes confusion? I think we get caught up a lot in how to avoid failure for fear that every branding failure might be our last. How do we pull back on the detail of the guidance and find some happy compromise that is easier to communicate? Can we be more tolerant of that risk with how we approach Fedora branding usage in the community? And if so how? As usual I have no answers, only questions. Mo had posted a new comment and the Spamkarma plugin classified the comment as spam. Not only the new one but also the previous ones although they were already approved. and if possible guidelines for the ones already running Fedora to be able to create the spin ? One is the Multi Desktop Spin with GNOME, KDE, LXDE and Xfce in both 32 and 64 bit and the other is a Biarch Installer. It does not make sense to argue with SXSW medias. The question is now – what can we do next time someone is really in hurry and there’s a great oportunity to spread Fedora to new users? Who should be aware? Has anyone power to ack/nack? I agree that magazines usually use their own design and don’t care about trademarks that much. I also agree we should think of a way forward to make things easier and faster in the future. However I think it does make sense to talk about the SXSW media: The violated the several policies, not just the logo usage guidelines and if we want to prevent these problems in the future, we need to analyze what happened in the past.